I don't know about you but I love to write a good list. Even more so since I've had kids because honestly I have never got over "pregnancy brain", I think out of my four children they have taken a quarter of my brain cells each!! So what sorts of things do I write on my lists?? 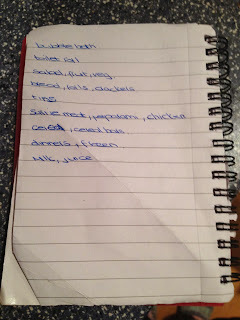 Yes every week I write out a lovely food shopping list on the mini notepad that I keep in my handbag. Although even though I write this list to remind me of what I need to buy, I always manage to come home forgetting atleast one item that I so desperately needed. Then there are my daily lists. 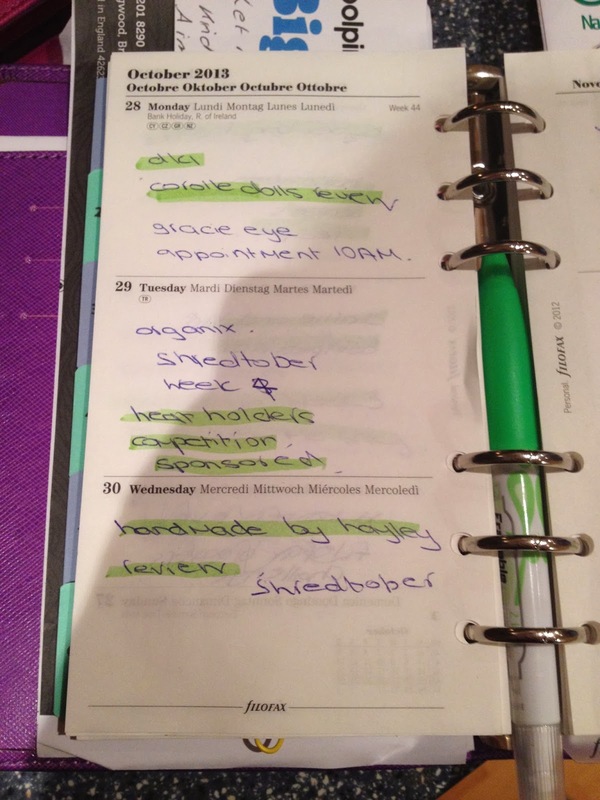 These all get written in my trusty filofax. 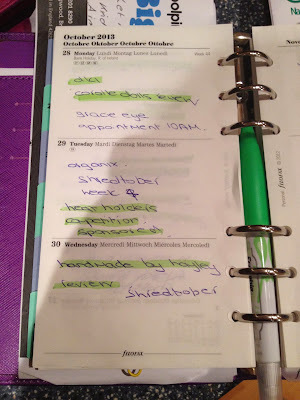 Things like what blog posts I need to get written that day, any doctors/school appointments that we may have. And I know this is quite sad but I really love being able to highlight them with my green pen when the task has been completed!! My monthly list is actually my birthday list. At the start of each month I put a list of birthdays onto my fridge in the hopes that I remember to atleast buy them a card because lets face it, there is no way that Daddy Hazelden is going to remember to do it!!! The last list I have doesn't really have a name, I suppose I would call it the list of jobs I really should do/want to do but never quite get around to doing. Included on this list would be sorting out a will, this is important and I must do it soon. And another one, changing my name on certain bills, you would think after five years of marriage that I would have done this one by now!! One thing myself and Daddy Hazelden recently ticked off this list was purchasing life insurance. Having children really changes your mind set and of course you want to make sure that your family are protected and well cared for under any circumstances. This guide from Aviva tells you more about life insurance and how to work out the best cover for you. We always put off doing it because we thought it would cost a lot but it really isn't that expensive and I am so glad that we did it, just gives a bit more peace of mind. So tell me, do you like writing a good list, are there things that you really should get ticked off these lists sooner rather than later?? Do I like them? 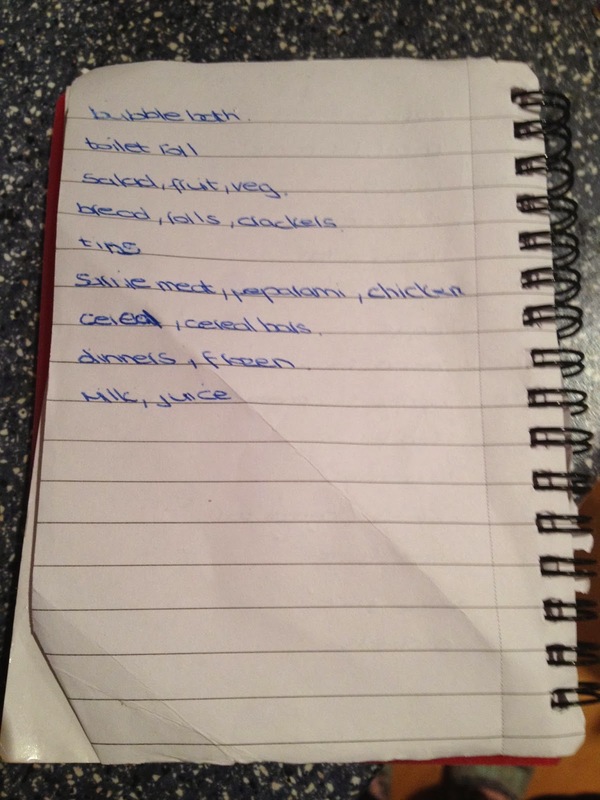 I simply cannot function without lists! I tend to use my iphone these days with daily reminders on my phone of what I need to do but nothing beats a written list, one that you can cross off when the task is done! I always write lists. 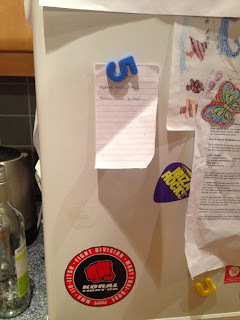 Even if I lose or forget them it't the act of actually writing one that makes me feel more in control.